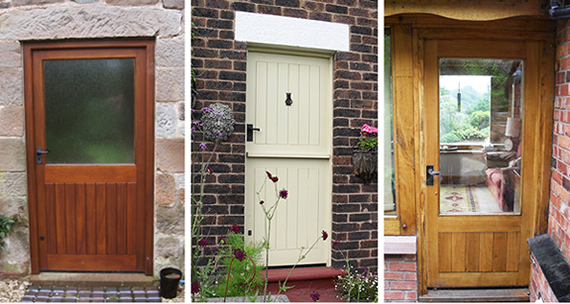 Wentworth Joinery have been manufacturing bespoke timber doors for over 40 years. We can meet any of your bespoke wooden door requirements from one off internal doors to fully draft proofed external wooden front doors. We pride ourselves in quality custom made joinery complete with a friendly, professional service. Doors are available in a number of different hardwoods and softwoods to meet individual customer needs. We can supply our doors as supply-only, or fully fitted at your project efficiently with minimal disruption. Each customer enquiry is met with a reliable service, offering design choice of door in every detail down to ironmongery, glazing options and various paint/varnish finishes. Our glazing options range from bespoke traditional stained leaded glass to modern double glazing to meet the latest building regulations. We now manufacture folding sliding doors which can open in full, transforming your living space into the outdoors. 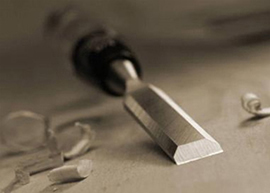 We are quality leek joiners. Whatever your door joinery needs, please feel free to give us a call.